Updates to CARYL's profile since your last visit are highlighted in yellow. 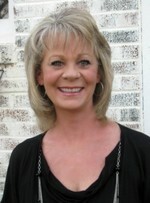 CARYL CARY SMITH updated her profile. View. 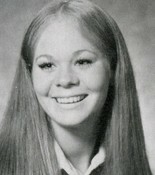 CARYL CARY SMITH has a birthday today. New comment added. CARYL CARY SMITH added a comment on her Profile. CARYL CARY SMITH posted a message. New comment added. I hope you had a birthday that is as fantastic as you are! Bloessings to you and your precious family in 2015! Happy happy birthday, sweet thang!!!!!!!!!!!! Hope your day is as fabulous as you are! Happy happy birthday, sweet friend! CARYL CARY SMITH posted a message. Hope you had a happy, happy birthday and didn't get into too much trouble! Hope to see you sometime soon! Happy happy birthday to a very special friend and a beautiful lady! I love you. I hope your day is as special as you are. I love you!!!!!!!!!!!!!!!!!!!!!!!!! Ha! I think the post I'm seeing for your birthday was from last year. I can't remember! LOL! Anyway......I do hope your birthday was as special as you are. Happy birthday!!!!!!!!!!!!!!!!!!! Hope it is a great one! Happy birthday! I hope you have a fantastic day!!!!!!!!!!!!!!!!!!! Have a happy happy birthday, Cathy!!!!!!!!!!!!!!!!! I hope you have a very happy birthday, Ken! Have a happy happy birthday, Nelson! Happy birthday, Deeann! I hope you have a day as special as you are!